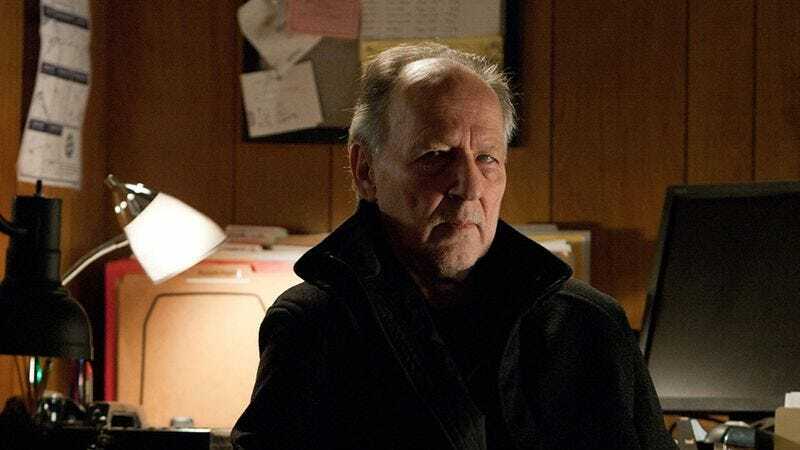 Over the past decade or so, Werner Herzog has evolved from a cult filmmaker beloved by cinephiles to a walking in-joke on Parks And Recreation. Not that that’s a bad thing, or that Herzog’s larger-than-life mythos is baseless—he really did pull Joaquin Phoenix from a burning car crash in L.A. in 2006, and in Les Blank‘s documentary Burden Of Dreams, Herzog describes the so-called “beauty” of the Brazilian jungle as “the harmony of…overwhelming and collective murder”—but one does wonder how many of the people sharing Werner Herzog motivational posters on Facebook have seen Fitzcarraldo all the way through. Anyway, Herzog poseurs now have an opportunity to be redeemed as the director preps his latest film, the “romantic thriller” Salt And Fire. German actress Veronica Ferres is set to star as a scientist working in South America who must team up with her corporate nemesis after she learns a nearby supervolcano is about to erupt. The movie, from a script by Herzog, is set to film in the vile cesspit of fornication and cruelty that is the Bolivian salt flats beginning in April.